The numbers of violent occurrences on campuses of colleges and universities are unfortunately on the rise. The US has had 57 times as many school shootings as the other major industrialized nations combined. There have been an estimated 288 school shootings in the United States since 2009. With this number of active shooter incidents, many people are thinking of ways to avoid such tragedies in the future. 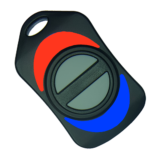 A computer panic button for colleges and universities helps cut down on the response time tremendously of authorities in the event of a crisis. Why Use a Computer Panic Button for Colleges and Universities? There are many objectives that you should take into consideration when it comes to securing your campus. Up to the present time, our society still grieves the many lives lost. With the proper training and security products, your college or university will be 56% less likely to experience such a tragedy. In the instance of an active shooter, for example, it would be essential to gather everyone as quickly and discreetly as possible. With the CRS Notify panic button, all computers in a network, whether it’s throughout several buildings or just one, would see that a high-level alert has been raised. Not only would each computer receive the signal, but the notification can be set to send through text, phone calls, and e-mails as well. A high-level alert will reach the faculty and staff instantaneously so they may react to the emergency more effectively. Emergency services can also be instantly alerted to an impending crisis the moment a high alert is raised. Furthermore, a panic button for colleges and universities can directly connect to 911 via E911 integration, which cuts response time to mere seconds. One college shooting took place in Huntsville, Alabama, on February 10, 2010. During a staff meeting, one of the professors stood up and shot six people in the room. The shooting was brought to a halt when the handgun jammed, and the assailant was forced out the door. The individuals that remained in the meeting room barricaded the door. There was a total of three unfortunate fatalities. The assailant has since been sentenced to life in prison. Many of the assailant’s students and colleagues reported unsettling behavior before the attack. The firearm used in the offense, as well as others found at the assailant’s home, had been acquired legally. A community college shooting took place on October 1, 2015, in Roseburg, Oregon where the gunman happened to be a student. The shooter entered a classroom and shot the majority of the students inside. There were a total of 10 fatalities, one being the gunman. Several people had described the perpetrator of the community college shooting as being a loner. The six firearms found on the scene in addition to the eight in the gunman’s home were purchased legally either by the gunman himself or members of his family. Why Not Arm Everyone on Campus? According to a study conducted by Johns Hopkins University, allowing civilians to bring firearms on college campuses is not likely to curb mass shootings on campus. Admittedly, having additional firearms on campus is expected to lead to more mass shootings, homicides, suicides and suicide attempts. Keep in mind, suicides, suicide attempts, and assaults are much more common on college campuses than mass shootings. There have been a large number of accidents involving firearms on college campuses. Disasters would have had a lower chance of happening if the university didn’t allow concealed carry. Finally, there has been no validation that making college campuses gun-free zones make them any more susceptible to mass shootings. One of the co-authors of the Johns Hopkins study examined 111 high-fatality mass shootings that took place in the United States since 1966. A mass shooting, for these purposes, is defined as an event where six or more people are killed). Only 13 of the 111 shootings examined occurred in a genuinely gun-free zone. Additionally, an FBI report that studied 160 shooting incidents between 2000 and 2013 showed that only one event was ceased by an armed citizen who happened to be a Marine. Had there been a security system in place that ensures a rapid speed of communication for colleges and universities, many lives could have possibly been saved. If a troubling behavior is observed, it would be best to report it to someone of authority. If this kind of behavior can be seized early, a person could get help from mental health professionals. This simple action could potentially save lives in the future. An incident response plan is essential for colleges and universities. 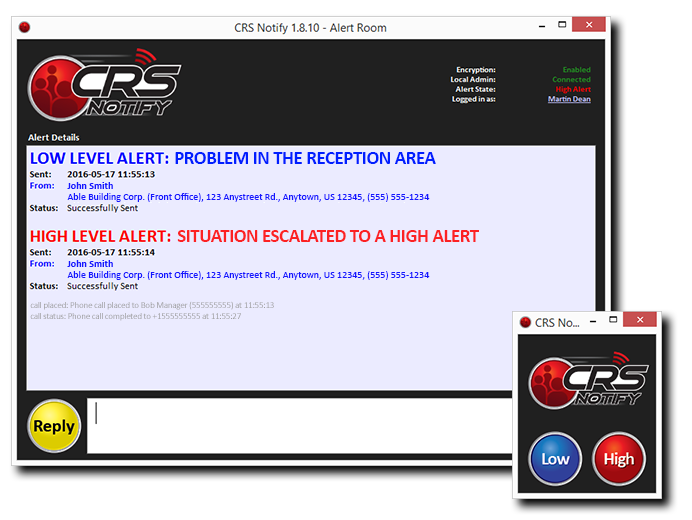 In addition to computer notifications, the CRS Notify program can alert the entire staff immediately if an alert is raised. Because of our mass notification platform, responders and personnel are notified instantly preventing inessential individuals at the scene of an unfolding crisis. Most college and university classrooms do not have the ideal setup for an assault or mass shooting occurrence. Many classrooms only have one door, meaning there is only one way in and one way out. It is resourceful to know the location of every emergency exit throughout the campus for any situation. The most recent instances of mass shootings have shown that hiding in place is not necessarily the safest protocol. Many safety and security experts advise people to run-hide-fight. Run – Running from the situation is usually the first instinct. If it is safe to run, do so. Hide – Hiding would be your next step. Hiding in this instance also means barricading individuals into a safe place. When hiding, it is important to remember to lock doors, turn off lights, and silence all electronics. Fight – If running or hiding is not at all possible, or cannot be executed safely, fighting the assailant is the LAST resort. Generally, the last thing a gunman expects is retaliation. This tactic could potentially save lives if done carefully. In conclusion, computer panic buttons for colleges and universities are an essential supplement to any incident response plan. With the CRS Notify panic button software, every computer in a network will instantly be notified in the event of an alert being raised. Additionally, alerts can be sent out via phone calls, texts, and e-mails. Emergency personnel will also be notified the moment a high alert is raised. That having been said, CRS Notify will provide your campus/university with peace of mind and reduce authorities response time to the seconds that matter the most.